CHIPPENHAM Canoe Club held a naming ceremony for its new katakanu before trying out the disabled-friendly boat for the first time. 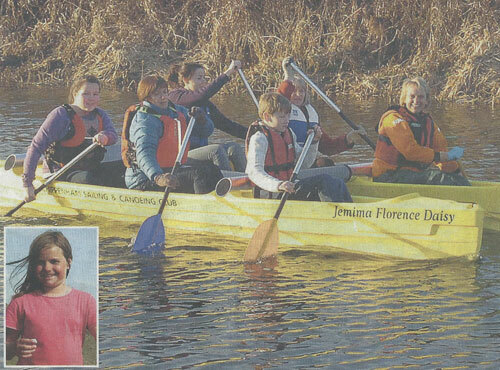 It was named Jemima Florence Daisy in memory of 10 year-old ski accident victim and canoe club member Jemima Prees. The £4,000 boat and trailer, made possible by donations from Invacare UK, Specialised Orthotic Services and Sport England, will be used to encourage all people to enjoy paddlesport, regardless of age or ability. The first crew to take the katakanu down the slipway included children as young as eight and grandparents in their 70s, some of whom had never paddled before. For more about paddle-ability courses starting in April, visit www.chippenhamscc.com or leave a message on (01249) 737453.